BioGro has developed a range of marketing resources to help raise public understanding of organics and the different programmes and services that we offer. We are in the process of developing and modernising our resources. BioGro's branded gate signs are an impressive and professional way to announce to visitors that your property is certified organic. Designed to last in all weather conditions, gate signs are made of an aluminium composite panel with a PVC core and features your unique BioGro number. 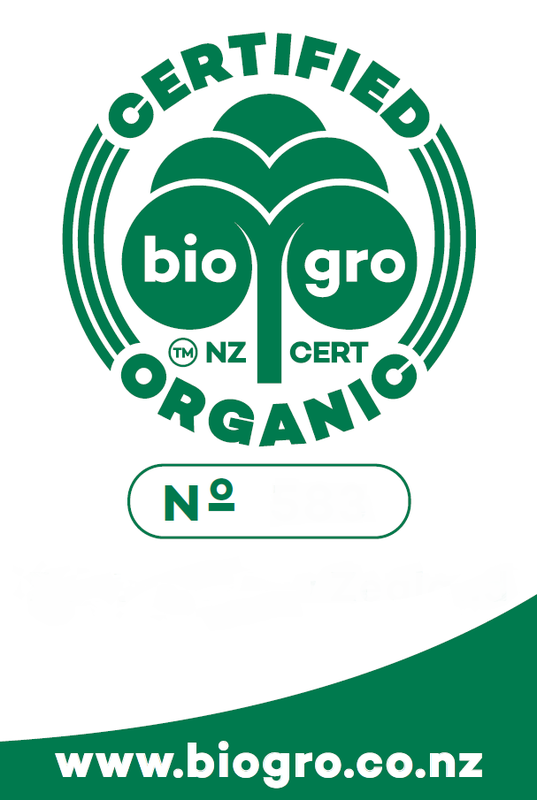 One gate sign is supplied free of change to newly certified BioGro licensees. Organic farming is a holistic system of agriculture which aims to operate sustainably and in harmony with nature. The founding premise of organic farming rests in optimum soil management to produce healthy crops and livestock for healthy, nutritious food. Organic farming is sometimes also referred to as biological farming or ecological farming. chemicals such as fungicides, herbicides, insecticides, growth regulators and soluble fertilisers. But it is much more than spray-­free or residue-­free. Organics is a trend that has been quietly gathering steam over the last few years, especially amongst younger generations. Attitudes towards sustainability and organics are changing for the positive. The growth and expansion of new industries including cosmetics and health & body care has significantly contributed to this. There is much evidence to suggest that consumer demand for organic produce will only continue to increase. 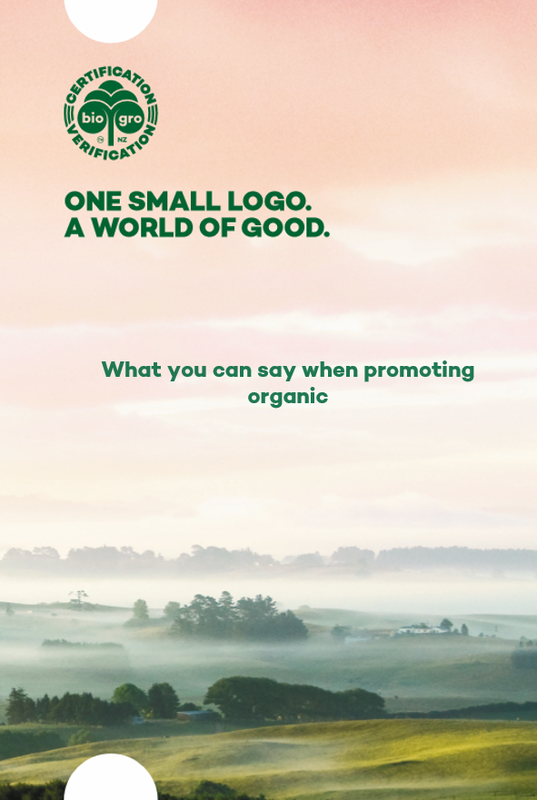 We believe it is a critical time for everyone in New Zealand’s organic movement to come together using clear and cohesive messages for consumers – organic is better for your health, the environment, animal welfare, wildlife, supporting local producers and it is a product you can trust. The central premise of this document is to help consumers make informed choices about products and services, based on accurate information. 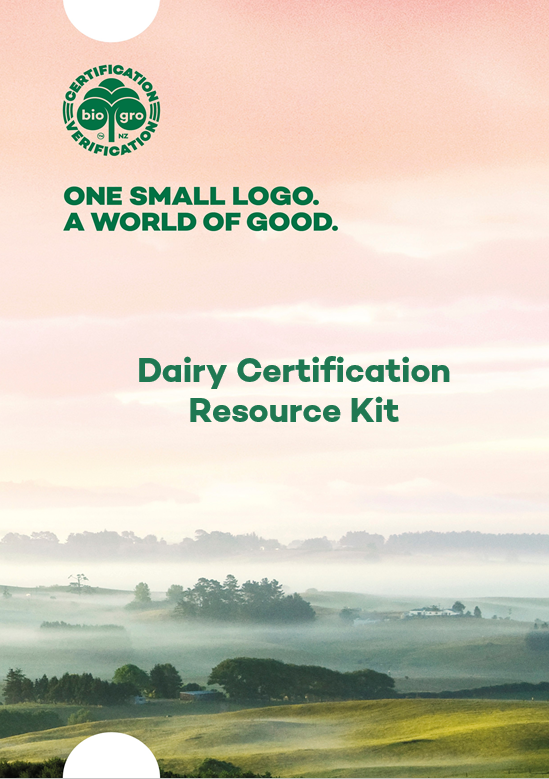 This document contains key messages and statements for assisting you in promoting your certified organic products and services.